While Intel's high-end desktop boards usually cost more and start at a higher price than its mainstream ones, there's still quite a margin between the cheapest and priciest boards available. 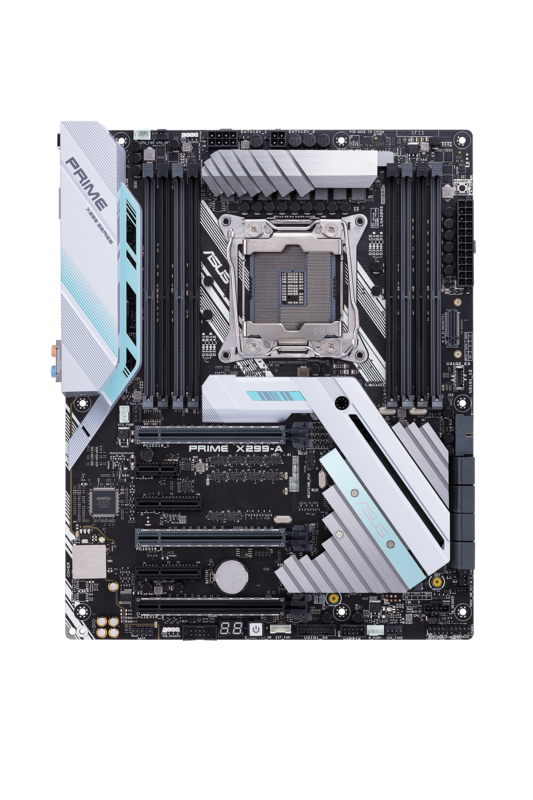 Not all of us can afford £400 for the likes of the Prime X299-Deluxe or even £300 for the ROG Strix X299-E Gaming but still want more cores or bandwidth than are available on Z270 or AMD's current equivalents. 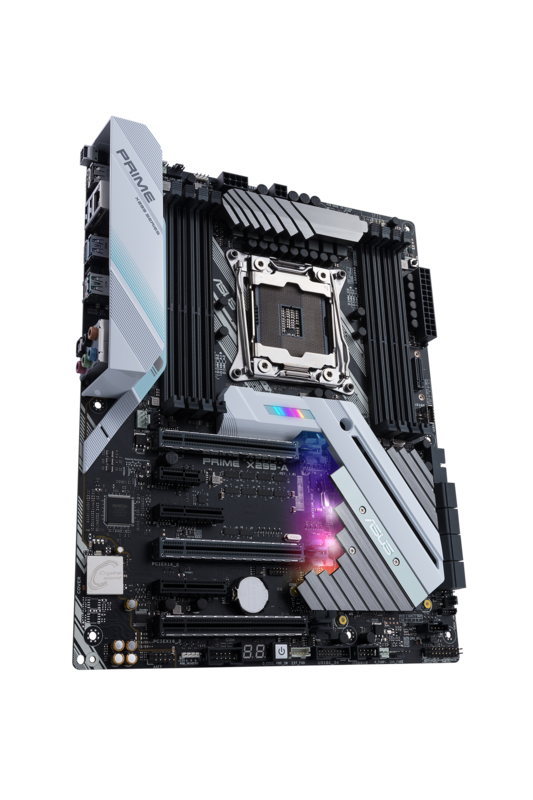 Motherboard manufacturers do realise this, which is why we've seen several examples so far of X299 boards slated to cost south of £300, with some even closer to £200. 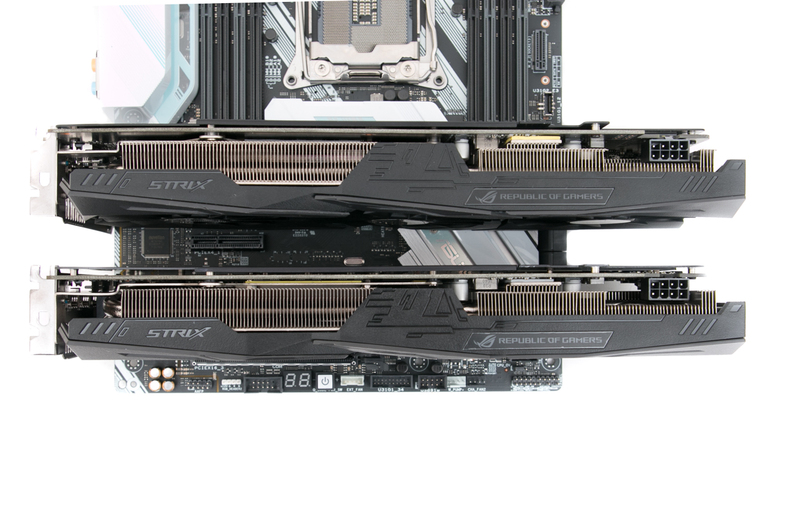 Today, we're looking at the Prime X299-A from Asus, which retails for around £275, which is £25 less than the ROG Strix X299-E Gaming - not quite as cheap as other model's we've yet to look at such as the Asus TUF X299 Mark 2 but a little more reasonable nonetheless. So, with a cheaper price, what do you lose? Overall there are some cutbacks but nothing that's likely to be deal-breaking for many of us. 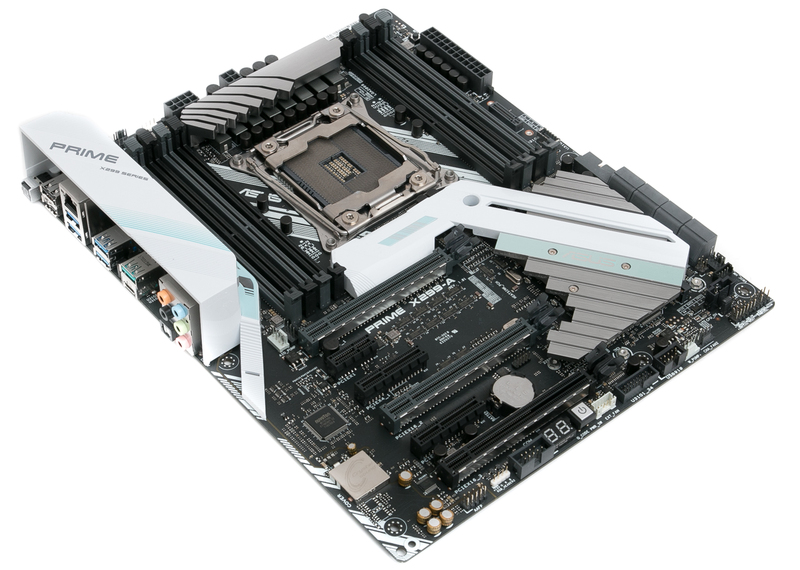 It lacks Wi-Fi compared to the Strix and Deluxe, and the RGB lighting isn't as extensive either, extending from just below the CPU socket down through the centre of the board, although you still get the usual two RGB headers that support either 12V or 5V LED strips. 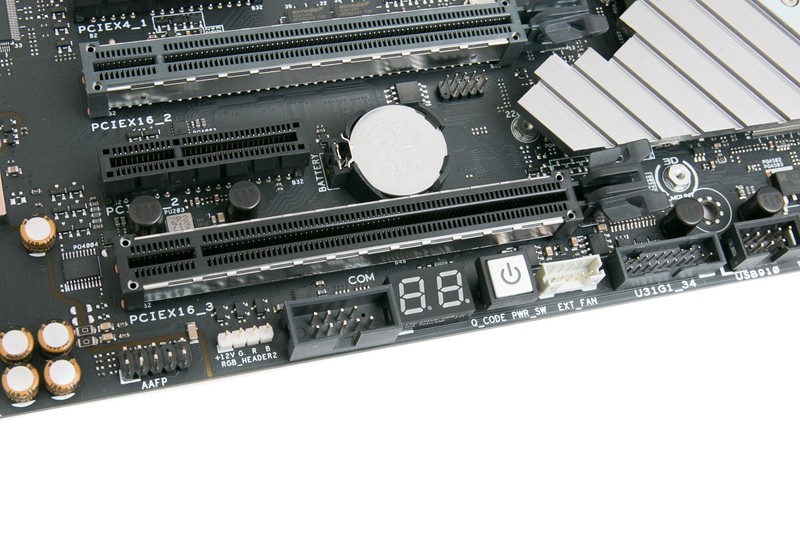 Apart from the lack of a U.2 port that's also missing on the Strix board, there's not much else that's not here either. 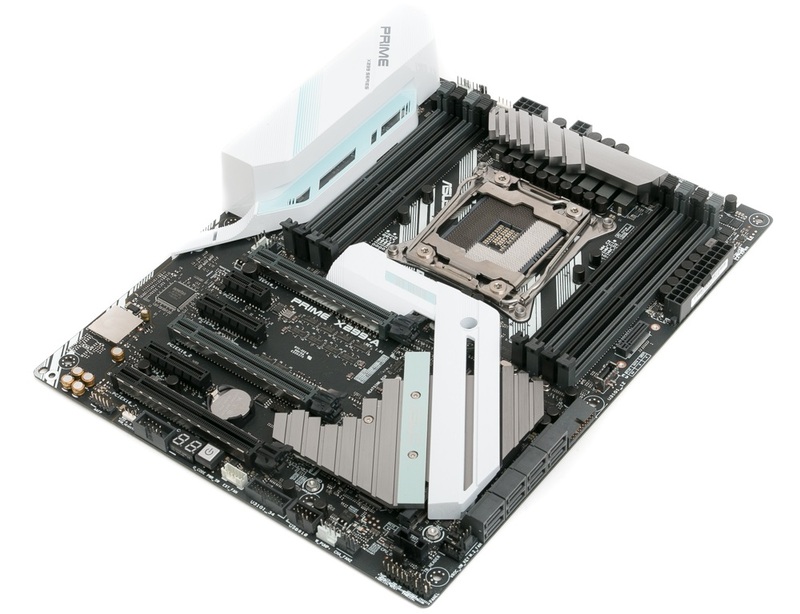 You get a very similar looking board to the Deluxe, and cooling is similar too, with a single VRM heatsink and identical looking M.2 heatsink. 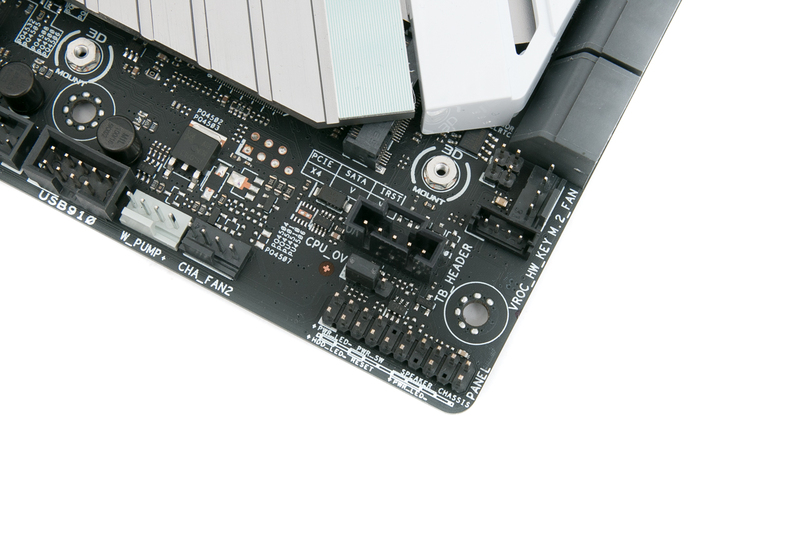 There's the same eight-phase power circuitry plus the additional four-pin connector for the CPU, and there's identical audio to the Deluxe too in the form of Asus' tweaked Realtek ALC S1220A codec. USB connectivity is a little reigned in as far as the number of ports go - you get seven Type-A ports, with four of these being USB 3.0 and one being 3.1, as well as a USB 3.1 Type-C port. 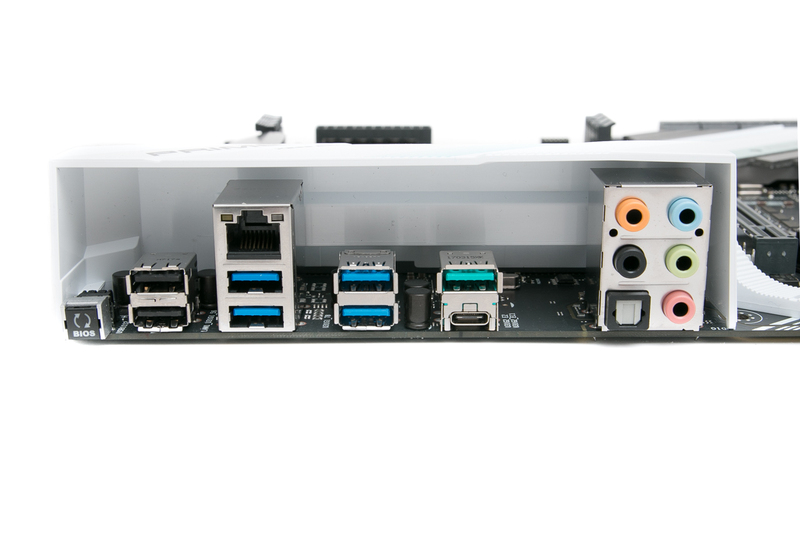 However, you do get a USB 3.1 header on the board for a bit of case future-proofing. 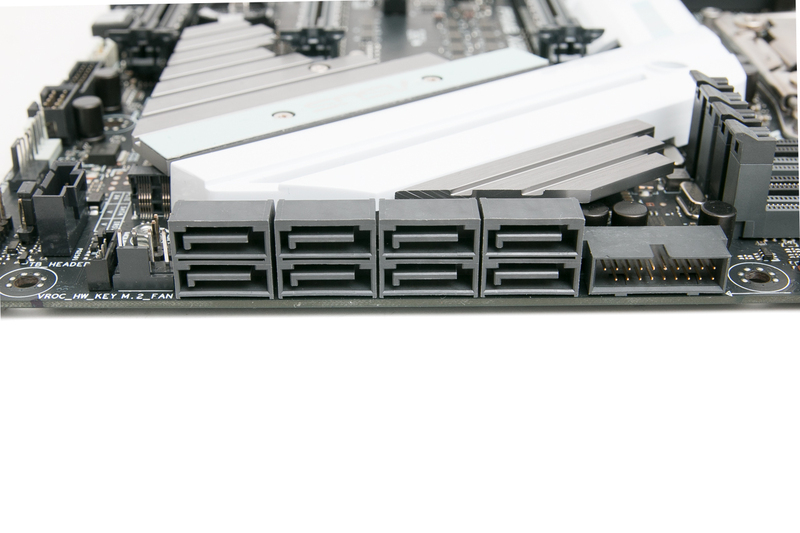 Storage-wise, there are actually eight SATA 6Gbps ports, which is one more than the Deluxe, plus the vertical M.2 port and second under the PCH heatsink, and you still get similar amounts of fan headers including the 3A/36W header for water-cooling pumps. There's another for AIO cooler pumps, one for a dedicated fan for the M.2 port should you wish to make use of the local 3D-printed object mounts for things including a 40mm fan holder, and two more fan headers near the CPU socket. Overclocking and testing tools are a tad less extensive, though, with no CMOS clear button and no reset button. 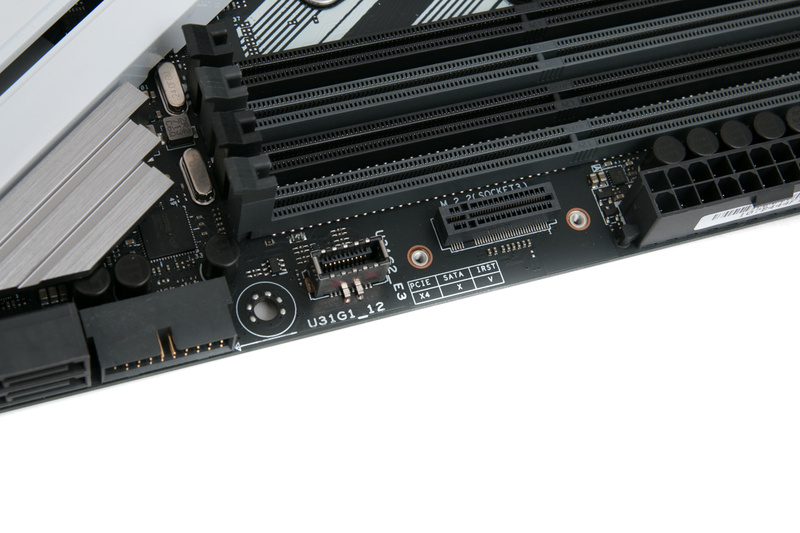 Given that the early EFI we used with the board did require one or two CMOS resets and the fact you're paying nearly £300 for the board, we would expect these as standard, and indeed the likes of MSI's cheaper X299 SLI Plus, which we'll be looking at soon, includes it all. 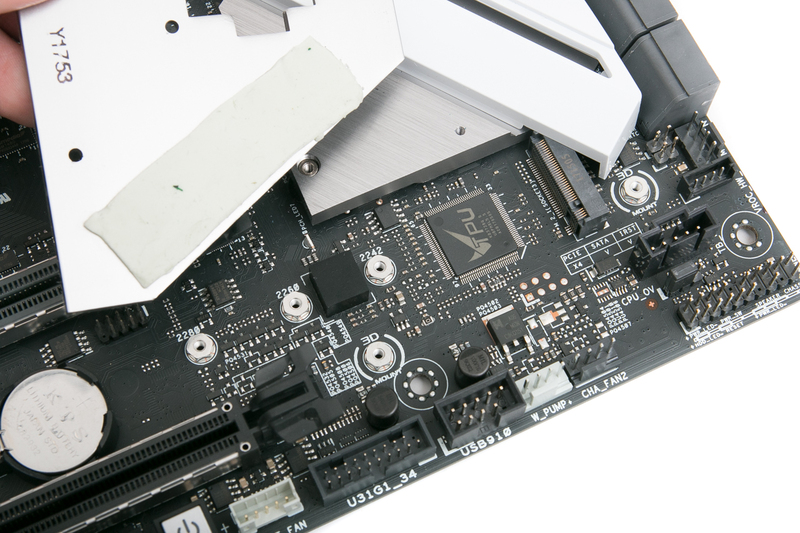 The M.2 heatsink is a similar affair to that on the Deluxe, with a flat plate screwing to the PCH heatsink and laying on top of the M.2 SSD by way of a thermal pad. 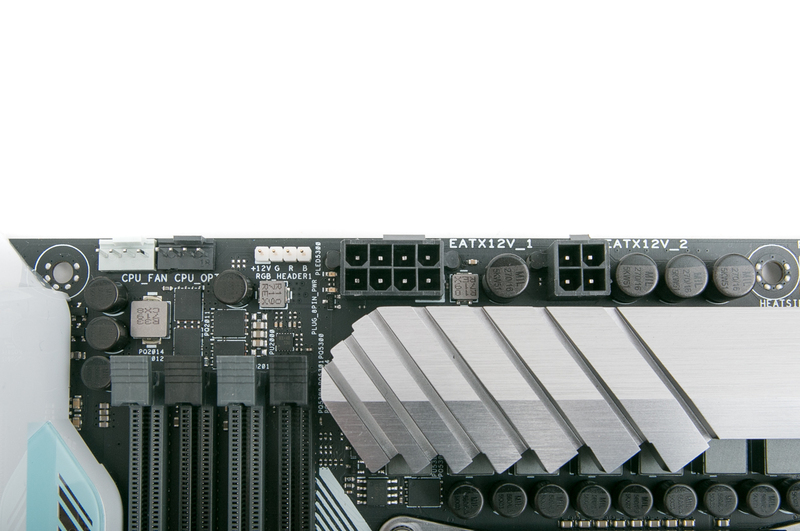 We again saw a 12°C drop in temperature with our Samsung 960 Pro under sustained heavy loads, so it definitely works, although as graphics cards in the primary and secondary PCIe slots sit over the M.2 slot here, if they exhaust out the side like ours did they will likely reduce the cooling on offer for the SSD.